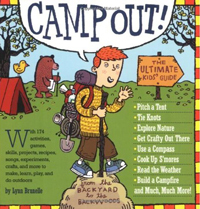 A four-time Emmy Award–winning writer for "Bill Nye the Science Guy," Lynn Brunelle has also written several dozen children's books. Among them are Camp Out! : The Ultimate Kids' Guide (2007); The Zoo's Shoes: Learn to Tie Your Shoelaces! (2008); and Why Did I Buy This Book? 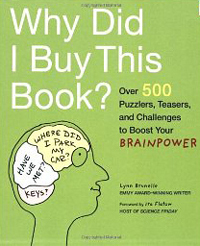 : Over 500 Puzzlers, Teasers, and Challenges to Boost Your Brainpower (2009). 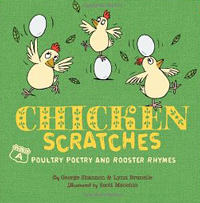 Most recently, Brunelle teamed up with George Shannon to write Chicken Scratches: Poultry Poetry and Rooster Rhymes (2010). The book's verse is complemented by humorous illustrations by Scott Menchin and "will appeal to anyone with a fowl sense of humor!"